Sleep Apnea, which is a condition that causes a lack of sleep and is tied to so many issues, including stress, certain medications, high blood pressure, diseases and infections, and psychological/emotional issues. If you are craving a good night sleep, the best sleep apnea pillow is able to reduce mild and chronic sleep apnea issues and, sleep apnea aside, it should be able to alleviate snoring and other associated problems. In most cases, when anti-snoring pillows are used alongside certain adjustments to the way you sleep, you can achieve much better results. For example, you should learn to sleep on your side because this will help offer positive airway pressure on the air passageway, thus providing you a much better sleeping pattern. The ideal sleep apnea pillow may be with a firm, wedge-shaped pillow that will support the body when sleeping in the lateral position. You need to know that simple changes can make a huge difference in dealing with sleep apnea. 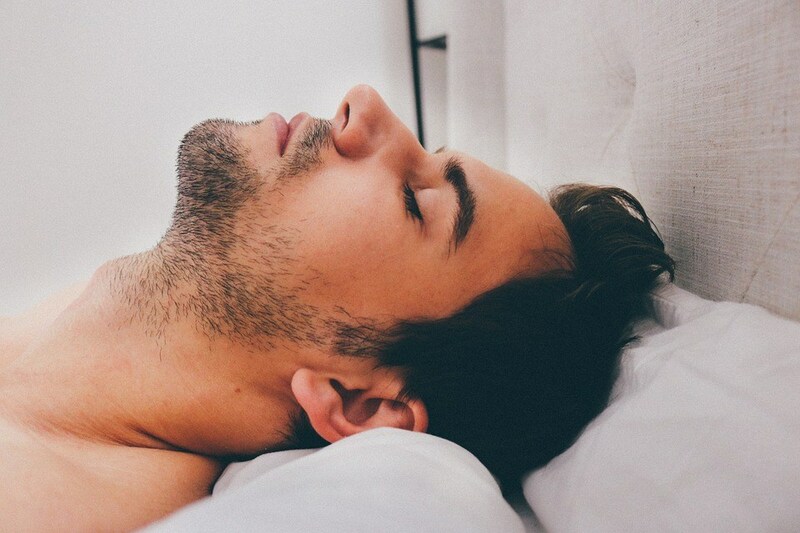 Most people often sleep in a supine position whereby they lay on their back or chest and these positions often cause the tongue and soft palate in the air passageway to drop and obstruct the free flow of air. Making use of a lateral sleeping position will help avoid such gravities and keep the air passageway open. In order to create a lateral sleeping position, it is important that your sleep apnea pillow is designed with a firm and wedge-shaped. Experts believe that the length of the pillow should be between 20 and 30 inches in length and between 20-24 inches in width, while the elevation should be between 6 and 8 inches. They come with high foam density. Because of the higher the density, the more support you can get. Memory foam will shape to your head and body, though some people have reported that they feel hot sometimes when they use such pillows. 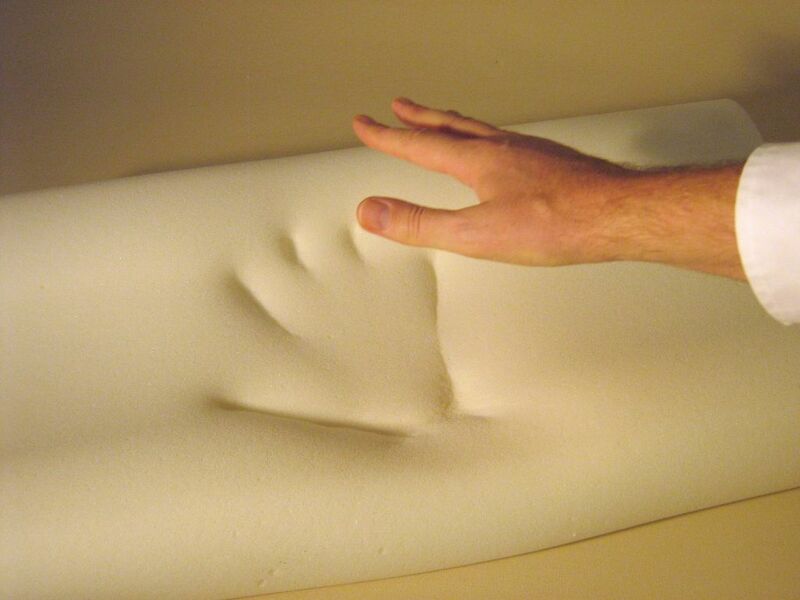 Though regular and polyurethane foam will not shape to your body’s contours, they are highly effective and are inexpensive. Feather pillows can be comfortable for some people, though some induce the collapse of the tissue at the back of the throat. Some of the best-rated brands of sleep apnea pillows are, Bed wedge foam pillow, SONA FDA cleared anti-snore and mild sleep apnea pillow and Tempurpedic neck pillows. If you are still finding it difficult to sleep on your side, you can also sleep in an upright position in order to keep the air passageways open. 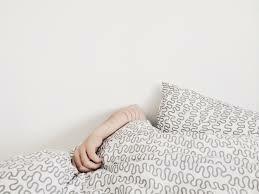 An upright position will make breathing easier because it will keep your head elevated while you are sleeping. A contour and wedge pillow is one of the most suitable options to elevate the head and the neck and then ensure that an upright position is retained. You need to keep in mind that your pillow can actually make all the difference, especially when you have been diagnosed with an obstructive sleep apnea. Investing is such effective pillows are inexpensive and they can be the best simple treatment you should explore. You may want to see your doctor if your sleep apnea is caused by some other issues such as sinus blockages. If you are still finding it difficult to sleep on your side, you can also sleep in an upright position in order to keep the air passageways open. An upright position will make breathing easier because it will keep your head elevated while you are sleeping. 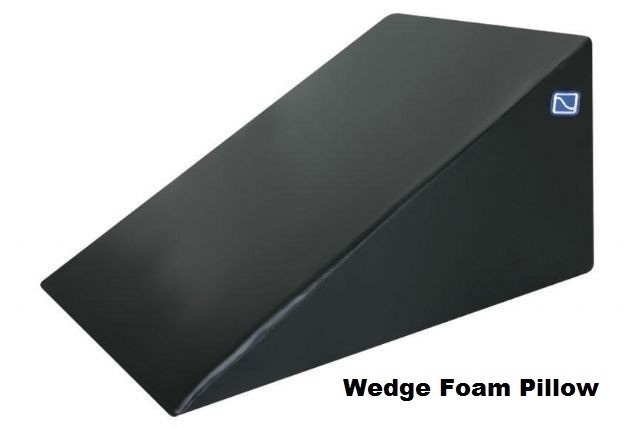 A contour and wedge pillow is one of the most suitable options to elevate the head and the neck and then ensure that an upright position is retained. The best sleep apnea pillows are designed by ergonomic designers in conjunction with other stakeholders such as chiropractic doctors. They can be designed as multi-purpose and dual-position pillows for providing relief against back and neck pain in addition to reducing snoring. Everyone using CPAP masks can make use of these pillows and they are also designed in such a way that the height of the side of the pillow and will keep your neck in a perpendicular position with your shoulders, which makes it easier for side sleepers to sleep comfortably. 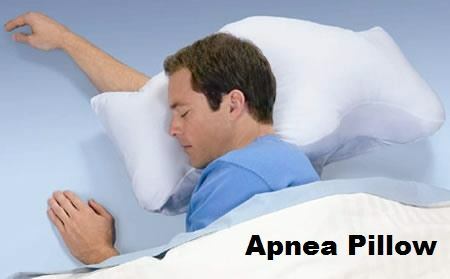 Individuals who use CPP masks may stop using such devices once they have gotten used to sleep apnea pillow in as little as two months. When choosing the best sleep apnea pillow, there may be several other factors aside from the comfortability and effectiveness of the brands. For instance, the budget may be a factor even though most sleep apnea pillows are very effective. A brand like Snoreless Pillow will provide value for money; however, it is slightly more expensive than the average sleep apnea pillows around. 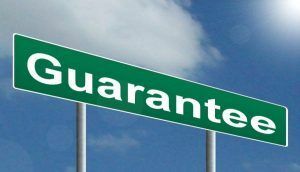 You may also want to check for extras such as money-back guarantee, though most brand manufacturers believe that pillows are capable of transmitting certain diseases when used by someone else, thus you may hardly find such concessions. When choosing sleep apnea pillows, it is important that you consider the durability of the pillows. 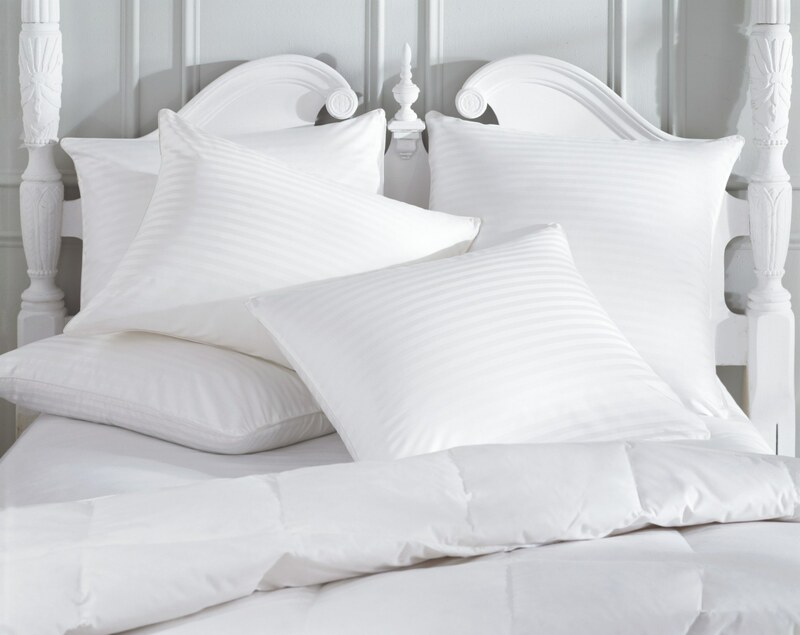 From the material used in making the pillow, you can tell which one will last longer than others; hence, you should be able to make a right choice. You may also read forums and ask others who have used certain pillow brands before making your purchase. 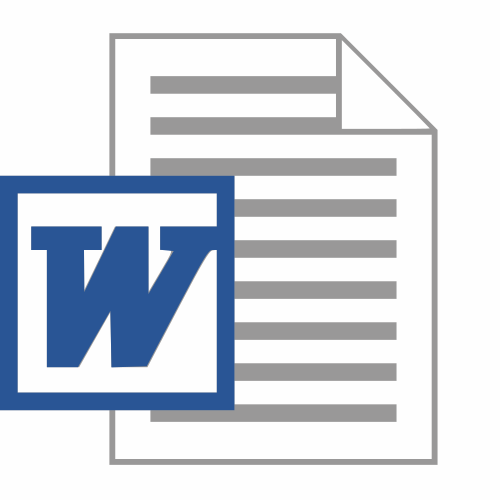 Microsoft Word users often run into problematic pages from time to time and that is having a blank page or problematic page either in the middle or the end of a document. Unwanted text or pages in Microsoft Word may contain some page breaks, section breaks, and empty paragraphs. There are quite a number of options you can explore in order to remove an unwanted page in MS Word, hence one of the first things you need to do is to ascertain the reason why the unwanted page is there. Take note, if your black page appears only when printing and isn’t visible in the document, then you probably need to reconfigure your printer (you may need to remove the separator page which may have been added for printing purposes between printing jobs). Make sure you change the printer settings. If you wish to remove, text, a paragraph or page contains words or images, at the top left of the section you want to remove, while holding the mouse or trackpad, simply left-click (with SHIFT) and scroll to the end of the section. Once highlighted, simply press “Backspace”. If you wish to remove an entire document, then you just have to go to the folder where the document is stored and right-click before choosing the “Delete” option. Step #1: Turn on the “Paragraph marks” in order to see the main cause or causes of the blank section/page, then hold down CTRL+shift+8. Alternatively, you can press Show/Hide, located on the “Home” tab. Once “Paragraph marks” is switched on, it is easy to identify the main cause of blank page on your word document. 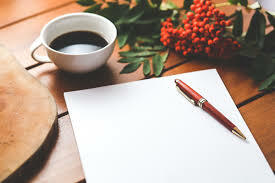 In the case of having additional paragraphs or extra blank page at bottom of the document, you may notice blank paragraph marks. If so, simply select the paragraph marks on the pages and click on “Delete” to remove them. If there are manual page breaks triggering the empty pages on your word document, all you have to do is to position your cursor at the top of the page break and then click on “Delete” to remove them. If the unwanted page is caused by a section break or other issues such as “Next page”, “Even” or “Odd page”, you may suddenly have a new page showing up in a Word document. Just in case the unwanted page occurs at the end of the document and you notice a section break around there, simply place your cursor just before the section break, and then press “Delete”, in order to remove the break. If you find it difficult locating section breaks, simply click on the “View” tab of the ribbon and then switch onto the draft mode. You need to exercise some caution when removing a blank page located in the middle of your Word document, especially if it is caused by a section break. You need to be aware of the fact that abruptly removing the section breaks may result in some formatting problems. In this case, you may have to keep a section break if you want your word document to keep its original formatting. Alternatively, you can just change the word document section break to a continuous one in order to preserve any formatting changes even after removing the blank page. Step #2: If you want to change a section break into a continuous section break, all you need to do is simply place the cursor after the section break that you want to change, then simply click on the “Layout” tab located in the ribbon and simply click on the page setup “Dialog launcher”. From the layout tab of the page set dialog box, simply click on “Section start” from the drop down menu and then click on “Continuous”. Then click on “OK”. Step #3: Sometimes, the unwanted page at the end of your document may be as a result of a table located on a page preceding the unwanted page. The table may go all the way to the bottom of the preceding page, but Word format requires that there must be an empty paragraph should precede a new page; otherwise, if the table extends to the bottom of the preceding page, then it will push some into a new page. 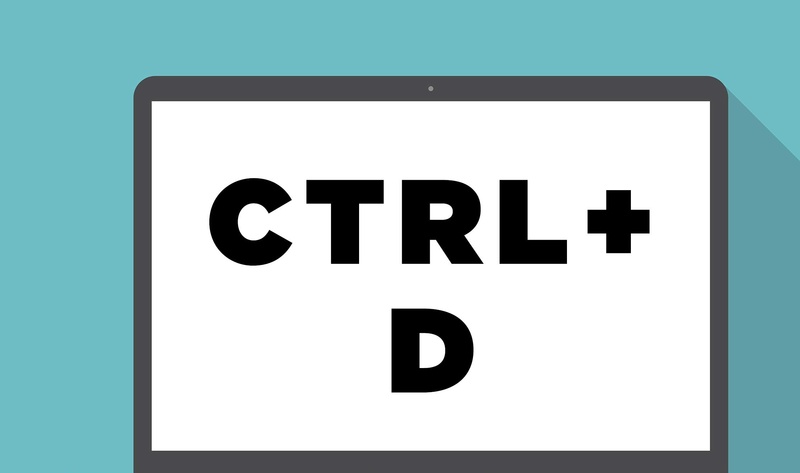 Step #1: Choose the paragraph mark and then click on CTRL+D open the font dialog. Step #2: Tap on the hidden check box in order to hide the empty paragraph. Step #3: Simply turn off the show-hide icon clicking on the button (it is located in the ribbon). 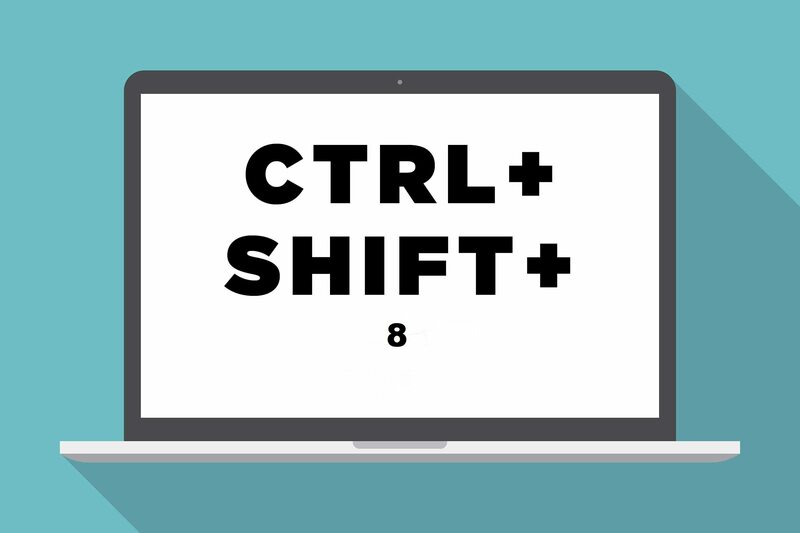 Alternatively, you can also turn the “Show/Hide” option off by pressing CTRL+SHIFT 8 and the extra page will simply disappear. You need to check that the document you are working on is properly formatted before you start typing. This will help you avoid the appearance of unwanted pages. If you are proud of displaying your brand on your jacket sleeve or you simply want to show off the skills and medals you obtained during summer camp, then you must learn to take care of those iron patches. Aside from displaying brands or certain achievements, patches can also be used to hide certain problems such as torn or damaged spots on garments and accessories. You need to learn to separate patches from the fabric, before ironing on them. Likewise, you need to also take care of issues such as making patches stay in place after you wash them. You need to understand the kind of patch you have. While some have fabric glue at the back and require a heat seal, others have cloth at the back. Make sure you examine the patch and see if you will need some extra material. Decorative custom embroidered patches are usually thicker and stiffer, they seem to have some fabric glue at the back, while the transferred paper patches on are non-glossy prints on paper, which can be used in holding torn clothes together. Some patches come with simple cloth backing, while others are simply designed to blend with fabric. These are not as tough as custom embroidered patches. 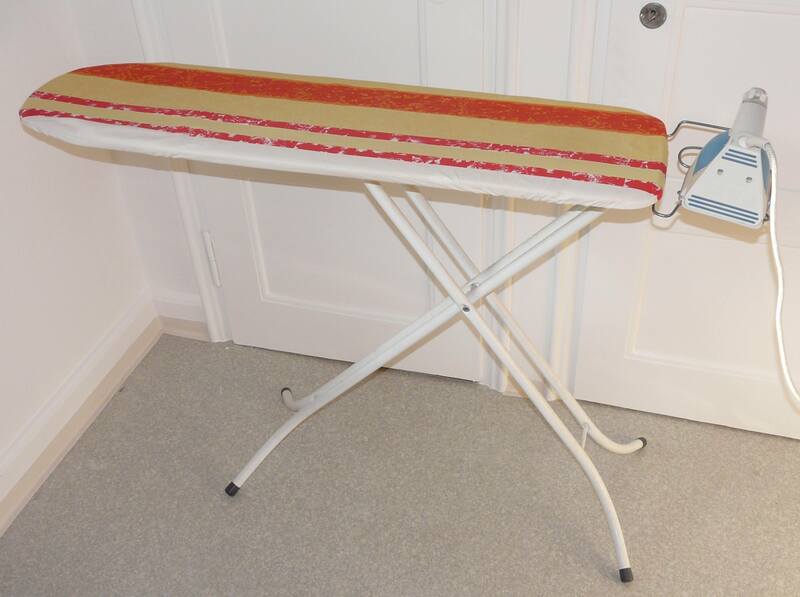 Keep in mind that garments made of denim or cotton will provide a better base for ironing. You also need to consider the label of the custom patch to see if it can be ironed. 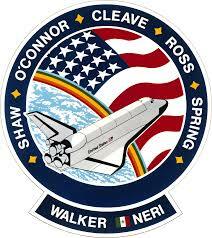 Even if there is no label on the patch, make sure you consider the type of fabric it is made of. Make sure you don’t apply high heat when ironing polyester fabrics. 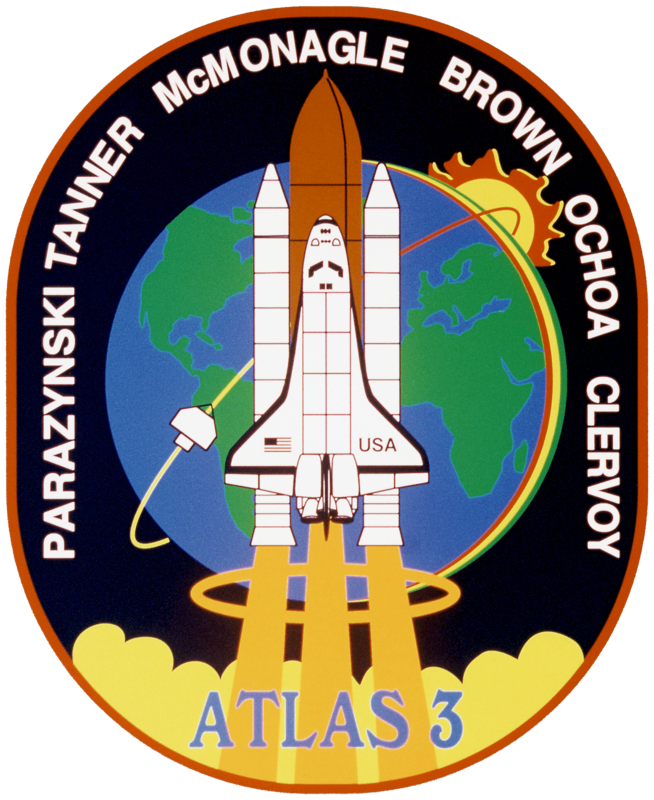 High heat may burn the fabric of the patch or even discolor it. Silk and other delicate patches should not be ironed with heat. Just before heating up your iron, simply lay out the jacket and consider the positioning of the patch(es). Likewise, you should consider where the patch will be placed if it has not been placed already. If you have just one patch to iron, simply place it in the best prominent and glaring place on the fabric, which also means you must make it appear intentional. If you are planning on ironing more than one custom patch, make sure you make adequate space to accommodate as many patches as you can. 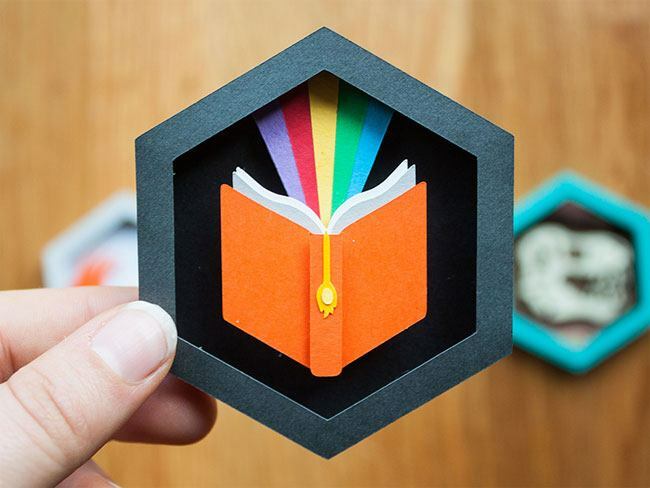 Take note that, if you are making use of a printable paper patch, consider the fact that asymmetrical items and letters must appear in reverse. Step #1: Simply lay the base item of the patch on a flat and heat-resistant surface. You should consider making use of an ironing board. If you don’t have one, you can use a folded bath towel on a solid table. In order to ensure that the base item provides a solid base, make sure you can iron on it first. Make sure it is arranged in such a way that that portion of the fabric that will receive the patch is totally flat against the ironing surface. Make sure the adhesive side is placed flat against the base of the fabric and the fabric is not crooked. Take note that the adhesive side is usually located on the underside of embroidered patches, while the adhesive side is normally located on the side where the image is located on transfer paper patches. If you are using a patch that is expected to blend into a fabric, you may have to apply such a patch to the reverse side of the fabric and make sure you follow the simple instructions for completing the ironing. 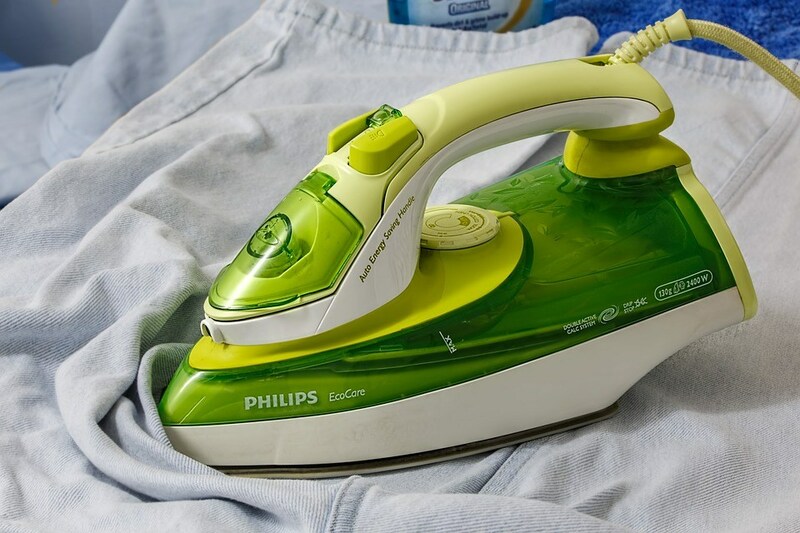 Make sure you turn the iron to the hottest setting that the fabric can tolerate and make sure you turn off the steam option and try to avoid filling up the water area of the iron with water (just a little water is needed). Make sure you do everything possible to avoid disturbing the position of your patch, and a thin towel on top of the patch will simply protect the patch as well as the surrounding fabric. Step #5: Place the iron properly over the patch (with a towel on top of the patch) and then press down. Make sure you hold the iron down for about 15 seconds and make sure you apply as much pressure as you can on the patch, while you press the iron down firmly. Lift up the towel and check if the patch has been securely fixed on the fabric. Gently rub the edge of the patch with your fingers and try to lift it. 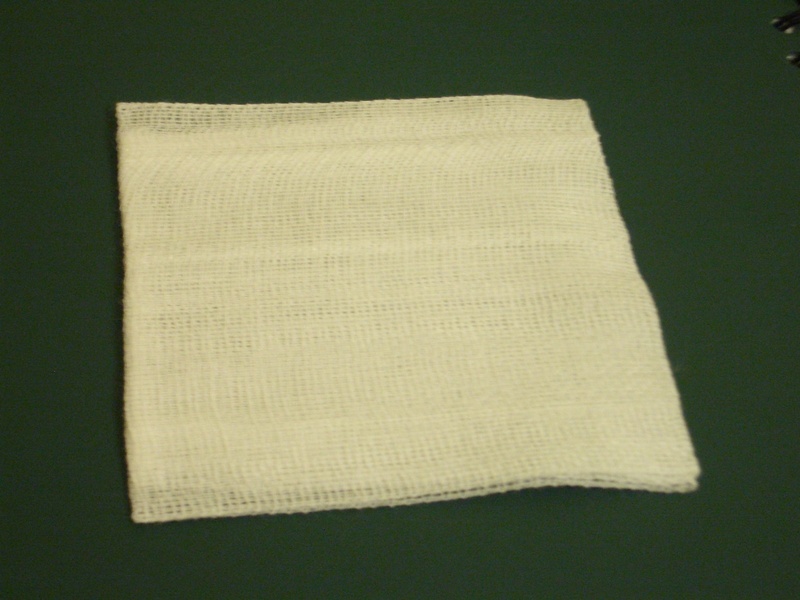 If the patch lifts up, simply replace the towel and then press for 10 seconds. This step may not be necessary but it may be better if you sew around the edges of the patch. Sewing around the edge of a patch with a needle and a thread is one of the best possible ways of securing it to the fabric. This will ensure that the patch does not fall off. When taking this step, make sure you choose a thread that matches the color of the patch and fabric. This step is only ideal for embroidered patches, so do not make attempt to sew around paper patches. Secondly, make sure you don’t wash the fabric with the patch more than necessary. The reason being that iron patches are expected to last permanently when you wash them frequently, they will loosen up and fade. Amazon Fire TV Stick has become the best-selling Android TV set-top box in the past year and the reason being that it is affordable. Likewise, it is relatively easy to jailbreak. 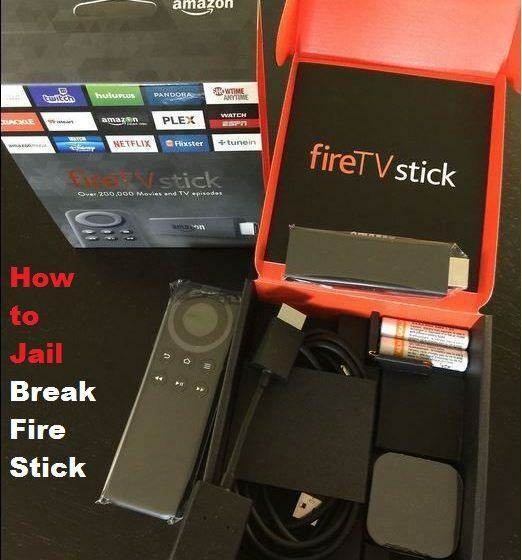 There are several ways to jailbreak and install Fire TV Stick without the use of a computer. The use of ES File Explorer, or other e files. 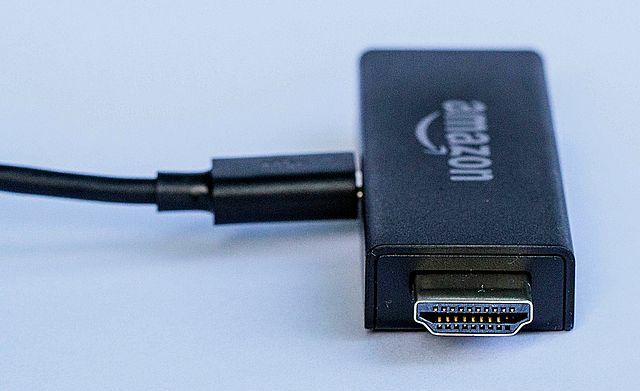 The easiest way to jailbreak Amazon Fire TV Stick is by avoiding the use of a computer. Most people often resort to a computer because they don’t have an Android phone. Little did they know that not using a PC is the simplest way to jailbreak. Step #1: Simply turn on your Amazon Fire TV Stick and then connect it to a Wi-Fi Internet. Step #2: go to the “settings” option on the fire tv device. Step #3: Navigate through to “System” and click on it. Step #4: Once you are on “System” simply scroll down on the device and click on “Developers” options. 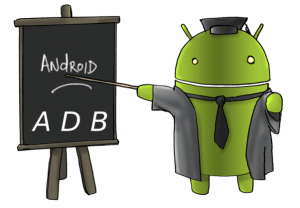 Step #5: You need to enable ADB debugging, as well as all other third-party apps. Step #6: Once you have debugged ADB and other third party apps, you need to return to the “Home” screen of your Fire TV Stick and click on “Search”. Step #7: simply key in “Downloader” in your search option, and make sure you don’t add any other quotes. Click on “Start” next to the search. Step #8: You will see a wide range of results and you will see the “Downloaded” app, which is identified by an orange color. Simply download and install this app. Step #9: Once the app has been installed, simply open it. Once you have installed the app, open it and you will see the user-friendly interface that you can use to complete the jailbreak of Fire TV Stick. 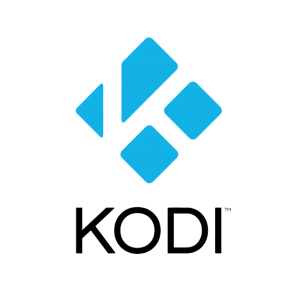 Step #11: Once downloaded, you will be asked if you want to install “Kodi”. Simply choose the “Install” option and Kodi will be automatically installed on the Fire TV Stick, which also means you have jailbreak on your device. Step #1: Simply connect your smartphone to the same Wi-Fi Internet that your Fire TV Stick is connected to. Make sure both devices are using the same Wi-Fi connectivity. If not, this procedure simply won’t work. 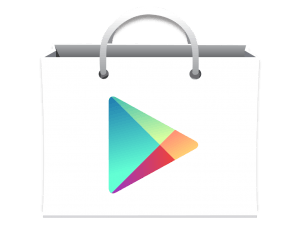 Step #2: Open the Google Play Store from your Android smartphone and then click and install apps2fire. Step #3: You will have to install Kodi on your smartphone also but have in mind that the version of Kodi that will be installed will depend on the version of your Android OS. You may want to install Krypton instead of Kodi. You can find both of them on Google play store. Step #4: Simply click on the “Settings” of your Fire TV Stick, and then move to “System” and click on it. Step #5: Simply scroll down from the “Systems” page and then click on “Developers” option. Step #6: On the developer’s option, simply click and enable “ADB debugging and apps from other sources”. Step #7: Simply click on “Settings”, then click on “Systems” and then choose “About”. Make sure you write down the IP address of your Fire TV Stick device. Step #8: Make sure apps2fire app is already on your smartphone. Open this app and simply put your Fire TV Stick IP address in the settings of the app. Step #9: Simply swipe to the left of your phone and you will see “Local apps”. Simply tap on the Kodi icon and the app2fire app will automatically download and install it. You can then check for it by clicking on “Settings”, and then “applications”. Making use of the ES File Explorer is another effective option for jailbreaking your Fire TV Stick device without the use of a PC. Step #1: Turn on the firestick device and make sure it is connected to a wi-fi internet. Step #2: Simply go to “Settings” on your device and then go to “Systems” and click on it. Step #3: Scroll down to the systems option and then select “Developers” option. Step #4: Simply enable the ADB debugging option as well as apps from unknown sources and, once you have done this, simply go to the Fire TV Stick main screen, and click on “Search”. 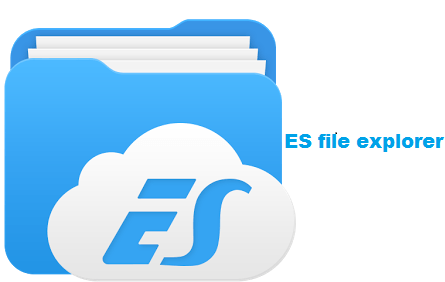 Step #5: Type in “ES File Explorer” and you will see it from the search results you obtain. Step #6: select the ES Explorer and simply install it by clicking on “Install button”. Step #7: Once the ES Explorer has been installed, the install button will simply turn to “Open” button. Simply select the open button and the ES File Explorer will be automatically launched on your Fire TV Stick. Step #8: From the “Left” menu, simply click on “Favorites” and click on the “Add” button. Here, you will see a pop-up where you need to add the URL of your Kodi download page. Simply select the add button and Kodi will be added to your Fire TV Stick and jailbreak should be complete. Enjoy! A lot of people often find it annoying when they get to the locker room and get stuck at their locker, especially when they are opening a locker for the first time without any idea of how to do it. With a little practice, opening a locker should get easier. If you become an expert, then you should be able to open at least 99% of all locker types. To open your locker when you know the dial combination, simply spin the dial in the clockwise direction at least 3 times to the right. This will help you clear previous numbers. Also, if you mess up while putting your combination, you can start over. 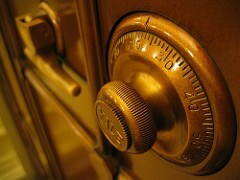 Simply turn the dial of your master lock to the right and then pause at the first number. Make sure you always start unlocking with a turn to your right. 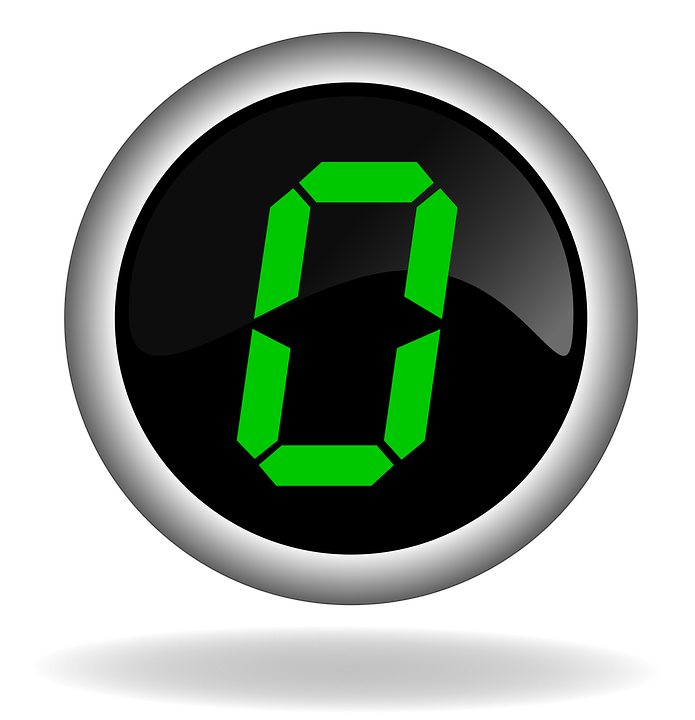 For your second number, simply turn the dial to your left and make sure you go pass the zero number and your first number and then pause on your second number. Keep in mind that some locks can be finicky. If your locker is not opening after putting the first three numbers correctly, then you should try and turn to the left pass the second number in the combination. Do this once and then stop once the net number goes around. For your third number, simply turn your dial to the right and go straight to the last number (make sure you leave the lock on the last number). Keep in mind to turn the dial right, left, and right. Make sure you pull the lock open by pulling it out of the hole. If it has a handle, simply pull it or the latch. In case the locker does not open, you can simply try it again and dial 5 before your last number or after the official last combination number. Often, the older locks may become shaky. Just in case all these options fail, you can simply ask your school teacher or students if there are similar problems in the school locker system. Make sure you try opening the locker at least twice before you inform your teacher or fellow students. 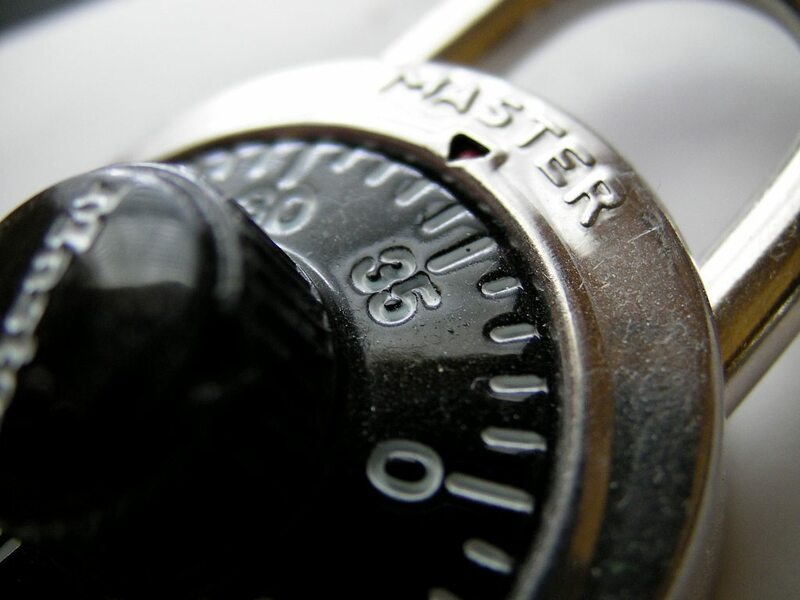 If your locker has an unattached lock, then make sure you lock it before leaving. Make sure the lock is closed and twist it a little. 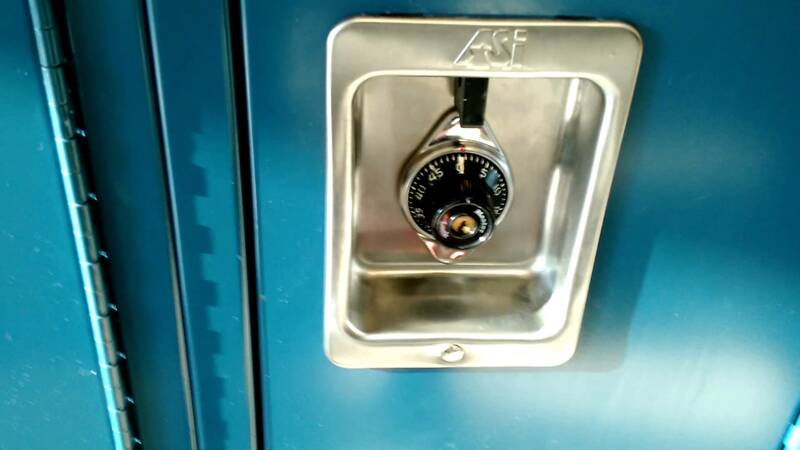 Do not leave your locker on the last number because it will open easily next time someone else tries it. Opening your locker when you forgot or don’t know your combination can be a difficult issue but you can try some tricks. Apply a little pressure upwards. This means you need to use your fingers by wrapping them around the latch. The locker should pull up a little even though it is locked. While you are still doing this, simply rotate the lock in an anti-clockwise direction until it becomes locked. You will have to apply some little pressure while doing this but keep in mind that the lock wouldn’t break. Once it locks, you must get a pen and a paper and write down the numbers at which it locks. You should try and repeat these steps up to 11 times and 7 of these numbers will be in-between two digits, simply ignore those digits. As you continue with 5 outliers, one number will not end in the same digit. Then you can make this your third number. It is important that you know where the locks stop at; hence, you need to be diligent when opening the lock. When using trial and error to open a locker, especially when you don’t know the combination, you must keep in mind that you will be down to 100 possible combinations. Secondly, you will spend up to 15 minutes or more on doing this, but keep in mind that your third number should allow you to eliminate the possible first and second numbers. You need to persevere and the lock will eventually open. Take note of some possible outcomes. For instance, if your third number is 32, 36, 28, 24, 16, 20, 8,0, 4, 2, then your first number will like be one of them (the third number), and your second number will either be 38, 34, 30, 26, 18, 22, 14, 0, 14, 6, or 10. Similarly, if your third number is an odd number (13, 5, 9, 1, 25, 17, 21, 37, 29, 33 or 25), then your second number will also be an odd number which could be 11, 15, 7, 1, 27, 19, 23, 39, 31, or 35. You need to ensure that you make use of all possible combinations in order to get the right number combination to open your locker but one thing is certain: You will definitely get the right combination number before you reach the 100th combination! It is important that you also memorize your combinations or write them somewhere and take it with you everywhere you go. Secondly, do not write your combination numbers in the same location as your locker number. Once you are done getting what you want from your locker, simply close the locker and then turn it into zero. Some locks can be very difficult to handle. You may have to tug on them harder and lean on the locker a little bit. Sometimes the latch will have to be jiggled a little just to coax it to open. If your locker works different from normal lockers, then you must read directions that come with it. Sometimes, you just have to hit a number close to the actual number and not the exact number, in order to open your locker. However, if nothing still works, simply ask for help from the appropriate people. What does Active Directory mean? Active Directory (or AD) can be described as a standardized and centralized network system that is deployed in automating networks. AD was developed by Microsoft for Windows-based domain networks; hence, the directory is included in all Windows server operating systems. What’s more, it involves quite a number of processes and services. Initially, AD was designed to handle centralized domain management. It all started with Windows server 2008 and has since become the base for a wider range of directory-based services. A domain controller is referred to a server running Active Directory. It is the server that authenticates and authorizes. AD is used in authenticating and authorizes users on computers that are registered on Windows domain networking, thus assigning and enforcing security updates on such computers. When you log onto a computer that is registered under Windows domain, the AD on the computer will check all submitted passwords and check if you are a system administrator or a visiting user. The AD will allow storage and management of information only at the admin level. Active Directory Domain Services, also known as ACDS, can be referred to as the backbone of every Windows domain network. It simply stores all information about members of a domain which include the users and the devices connected. The ACDS verifies credentials as well as grants or denies rights to use devices with Windows domains. The domain controller may also be a cluster of different servers and it is the first thing protocol that will be contacted when the user has logged onto the device. Some other active directory domain services include encryption of file system, domain name services, exchanger servers, and SharePoint server. Lightweight Directory Services is another service rendered under active directory services. Known as ADLDS, it is a lightweight implementation service that runs on identical API. This service does not require the recreation of sub-domains and one of its functions is to provide data storage facilities. Multiple ADLDS can be run on the same server. Certificate services are available on ADCS are on-premise public key infrastructure. This certificate service can be used to revoke and validate any public key certificate for internal usage within an organization. Certificate services are used in encrypting files, email, and also used in virtual private networks, transport layer protocol, and other network traffic control systems. ADCS was released before Windows server 2008 and has been used to regulate certificate authentication on the Windows server. Right Management Services is software information that regulates Windows server’s emails and web pages. This software makes use of form and encryption functionality in denying or limiting access to documents on Windows servers. All corporate emails, Microsoft word documents, and web operations on Windows servers will require authorizes to perform them. Being a directive service, AD consists of some databases, as well as executable codes that the service requests. 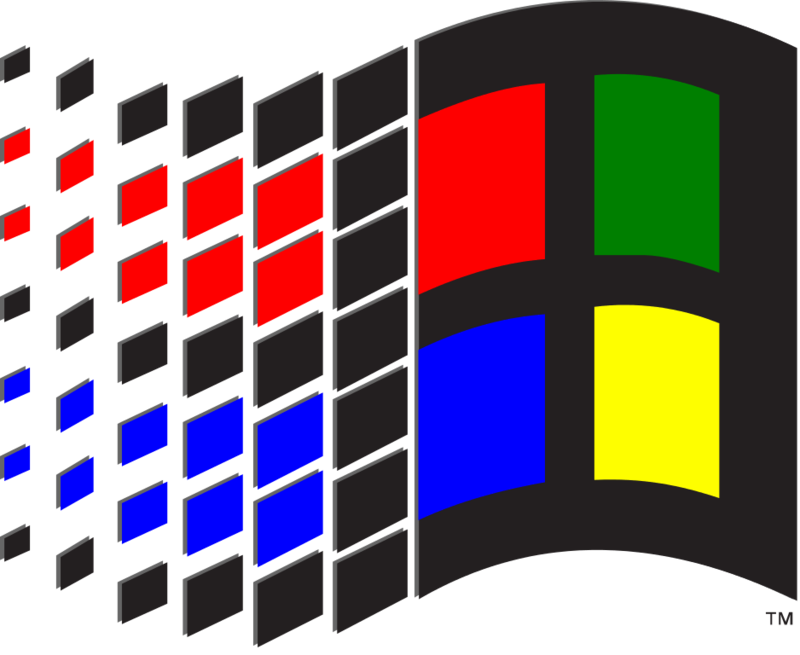 The executable part of the AD is the directory system agent comprises of several Windows services that process and run on Windows 2000 and newer versions. The objects in these databases are accessed via LDAP and ADSI which are components of object model interface. Other essential components of AD are the API and Security Accounts Manager services. The AD comprises of “objects” that are used in coding information and these objects are categorized into two: Resources and Security principals. Security objects in AD include printers, while security principal objects include groups and computer accounts. Each object within the AD represents an entity; however, the deployment of the objects can cause a significant disruption to the working of the AD. Fortunately, objects can be created and or deleted from the AD. However, this will require adequate planning. 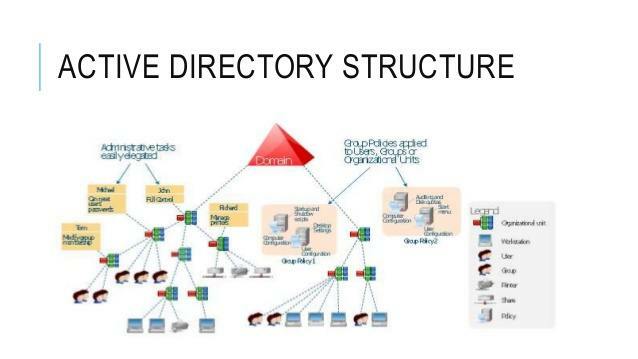 Active Directories also comprises levels—just as objects—these include the Trees, Forests, and domains. These are the logical divisions of an active directory network. Objects are usually grouped into domains within a deployment, while the objects of single domains are located inside a single database and the database can also be replicated. 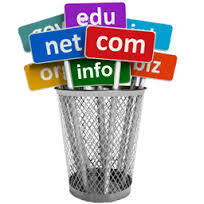 Domains are usually identified through their active domain names. The domain in Active Directory is often referred to as the logical group of network objects (objects may include computer devices and users). The objects in the same domain must share the same database within an Active directory (AD). A tree is referred to as a collection of more than one domain and at the top of the structure of the AD hierarchy, is the “Forest”. A forest is simply a collection of trees of common logical structure or configuration. The forest is simply a security boundary within which users, groups, and computers can access different objects. Considering the physical structure, AD holds the definitions for all connections and it helps differentiate between low and high-speed network infrastructures. An example of a low-speed network is the WAN or VPN, while the LAN is a high-speed network. The control of network traffic within the AD is handled by domain controllers. Any network that utilizes AD will usually come with multiple window server computers. It must be noted that domain controllers used in Active Directories must not be allowed to perform other software roles in order to avoid redundancy or slow performance. 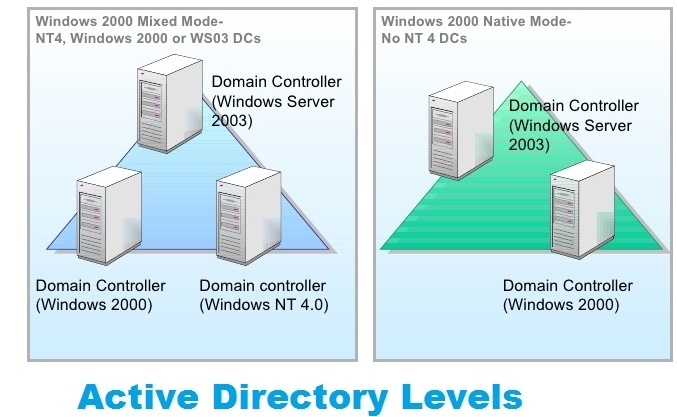 Domain controllers will allow multiple updates in different sections of the Active Directory. Similarly, “Trusting” is a process whereby the domain controllers allow users on one domain to access some resources from another domain. 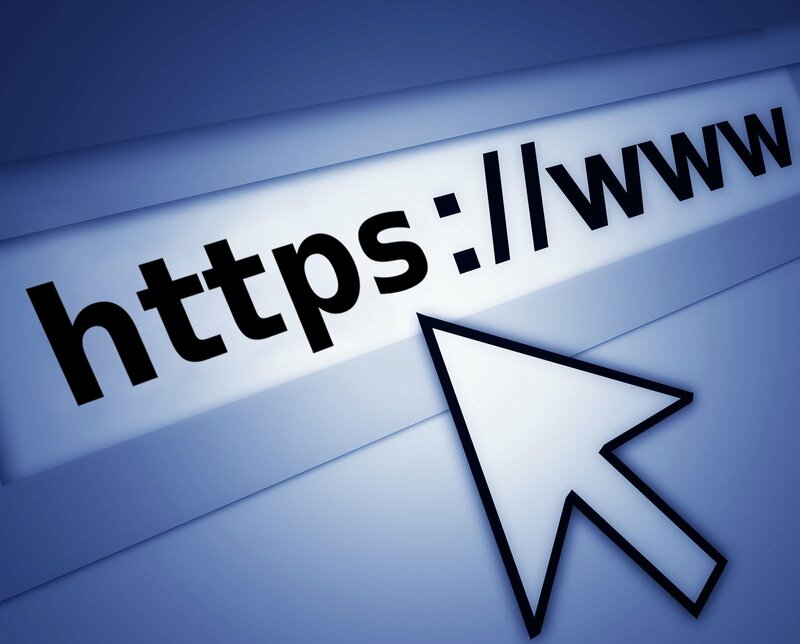 When it comes to providing trust services, the AD many allow a user to access resources in certain domains but prevent the user from accessing resources from other domains (this is referred to as one-way trust). A two-way trust is a kind of trust where the AD will allow access to two main domains). Most people often find it difficult to take X-ray photos by themselves because they get loads of reflections that can mess with their images. However, we are not talking about a chest X-ray, dental X-rays or those taken by an X-ray technician here. We are talking about fashionable X-ray photography. And you certainly don’t have to be an X-ray technician to take this kind of X-ray pictures. All you need to do is familiarize with old fashioned equipment. 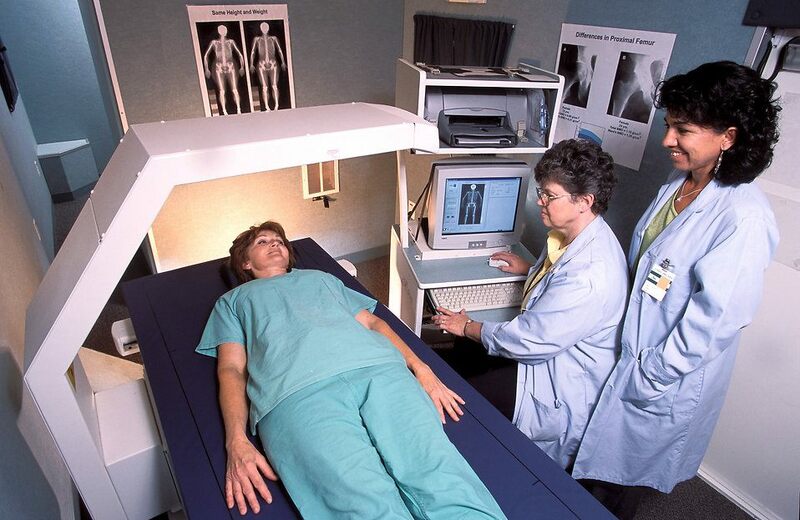 X-rays work in similar way to some visible light rays and both have wave-like forms involving electromagnetic energy. Human eyes cannot see X-rays because the eyes are only sensitive to wave forms of visible lights. 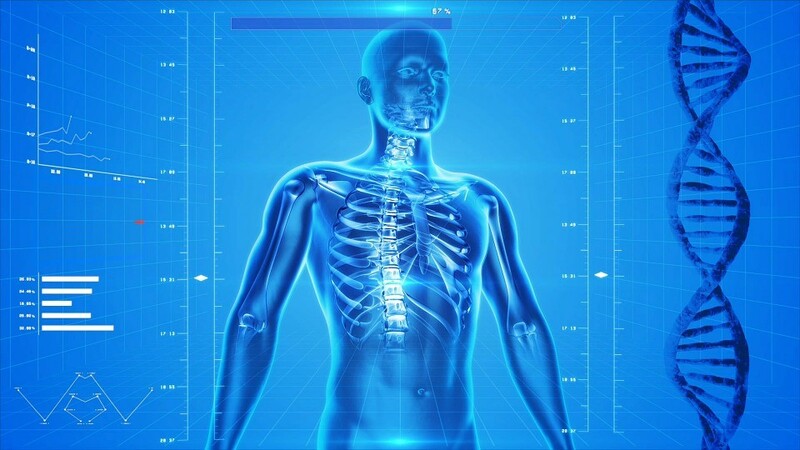 X-ray machines work by directing its rays through soft tissues such as the skin and these rays bounce back when they meet thicker tissues inside the body, thus creating images of internal structure of the body. X-rays are useful for so many things and, fortunately, you can do it by yourself. Most people will think that X-rays are only good for science and medical purposes only, especially in detecting diseases, fractures, and deformities. Those who are fashion-conscious, however, know that X-rays can be great in photography. When used as X-ray photography, the photographer can make use of different forms of light in exposing what the ordinary light cannot see; hence, an everyday object can take on another dimension when X-ray photography is used. When you become creative with X-ray photography, you can perform many wonders. For instance, you can turn a beautiful doll into a scary zombie. There are affordable X-ray machines you can find online and if you don’t have a budget to get new one, you can simply go for the refurbished on e-commerce websites like Amazon and eBay. Make sure the product you are purchasing online are tested. 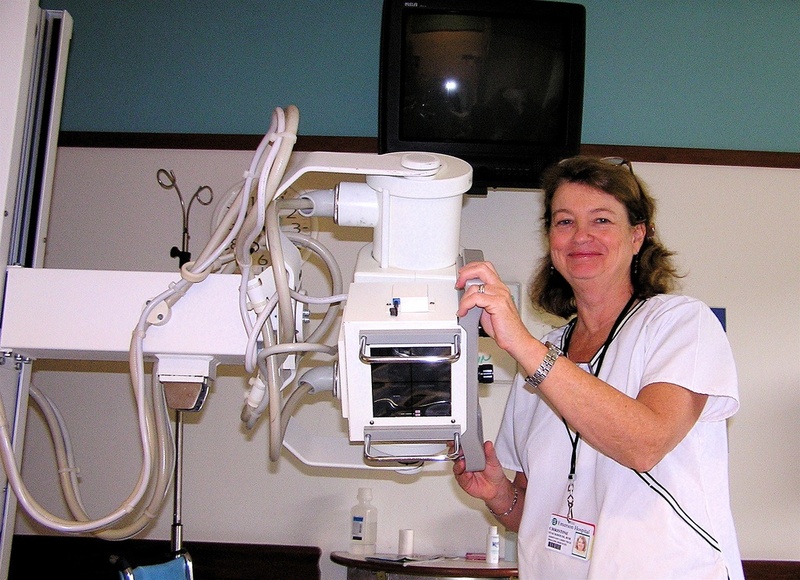 You may also consider picking up a used or refurbished dental or medical X-ray machine. If you want to be more adventurous, there are resources where you can learn how to make your own X-ray machine for less than $50. You may want to get advice from a doctor before you make your own X-ray machine or purchase one, as X-rays in the wrong hands can be harmful to the human body. You can also make use of Sunprints, which are much safer and they work just like X-rays. Sunprints were created by a group of scientists at the University of Berkley. Sunprints are a collection of coated papers that makes use of sunlight exposure and then make use of water to develop the prints. These are excellently simple and they don’t expose the human body to the risk of cancer or other health hazards associated with prolong exposure to X-ray machines. 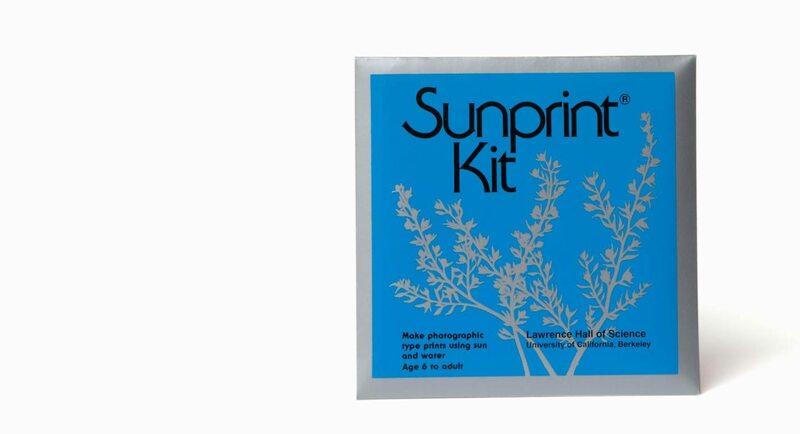 You can simply buy a Sunprints’ kit and then gather some objects, such as paper, dry bones, or bike sprockets of bikes and place them on a piece of paper. Make sure they are exposed to the sun for about 5 minutes before rinsing the Sunprints in water and then hanging them flat to dry. You may want to get something neater; thus, you should look out for high contrast black and white film during photography. Here are some steps you can follow to take X-ray pictures but keep in mind that you may need to have the actual final X-ray images scanned by a competent operator or make use of an ideal scanner. If you want to produce the X-ray images by yourself, then you will need to make use of the daylight sunshine except your camera has some sophisticated lightning system. You need to create a matt finish for your X-rays. You should choose an overcast yet bright day while taping the X-ray to your window. 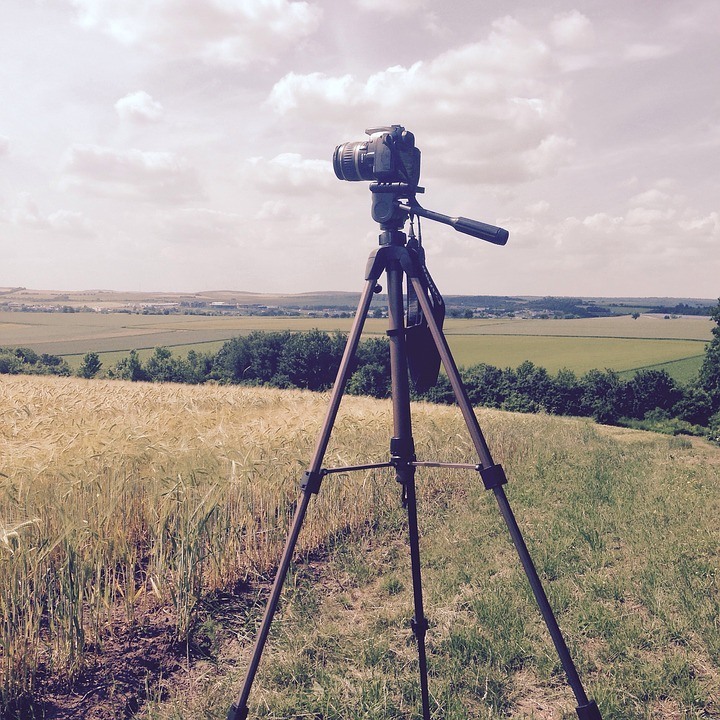 Likewise, you must ensure that the pictures are taken on a tripod for maximum stability and make sure that you don’t use flash with daylight exposures. Step #1: Make sure you position the camera level in such a way that the lens is centered precisely and in a parallel position with the X-ray device. Step #2: Just in case the window is exposed to a scene that may interfere with your shots, simply place a taped sheet of paper to the window, in order to diffuse the light. Step #3: Take a sheet of opaque black paper that is large enough to cover your X-rays and then make use of 6-8 inches of black paper on all sides. 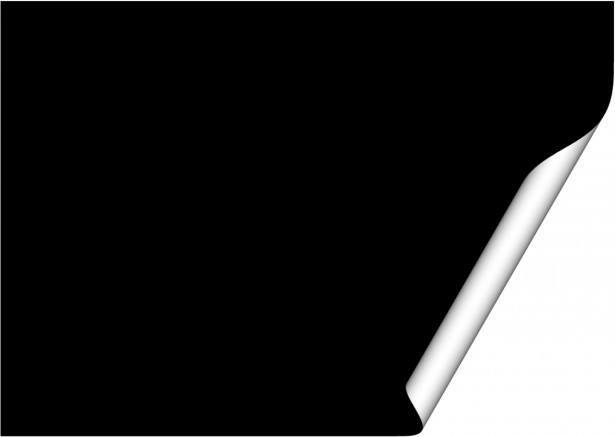 Make sure you cut a small opening on the black paper (exactly the same size as that of the X-ray), then simply tape this mask on your window to create a blockage against any other light. Step #4: Tighten your X-ray close enough in such a way that the black matt creates a blockage against all other lights and images around the edges of your view. 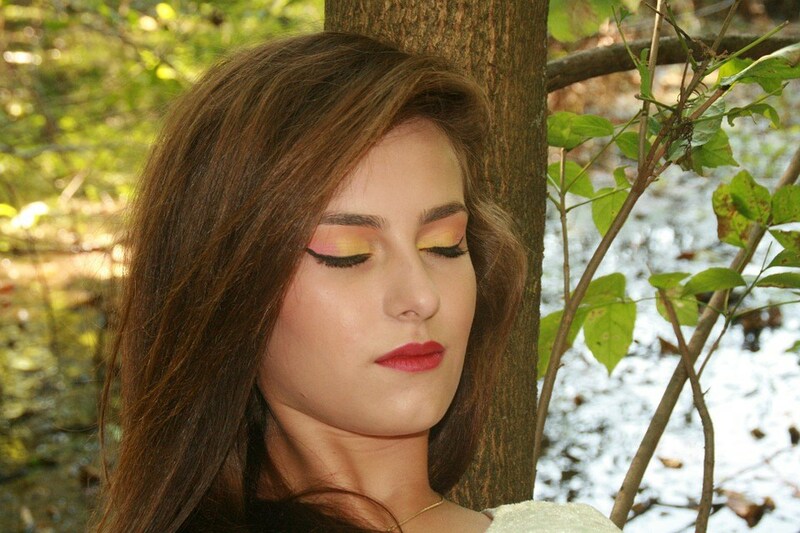 As a precaution, you can take some preliminary shots and check your images. You can also move the camera inwards just in case the viewfinder does not provide an accurate edge. Step #5: Take several test shots and make sure you work with the white point on your camera, in order to achieve the best reproduction you can hope for. Once the shots have been taken, make use of the “levels” command on your camera to neutralize the range of grays and try as much as possible to ensure that there are white and black dots. You can make your initial prints and experiment with different X-ray prints until you get the desired results. When it comes to taking good X-ray shots, your initial shots may be difficult to get. 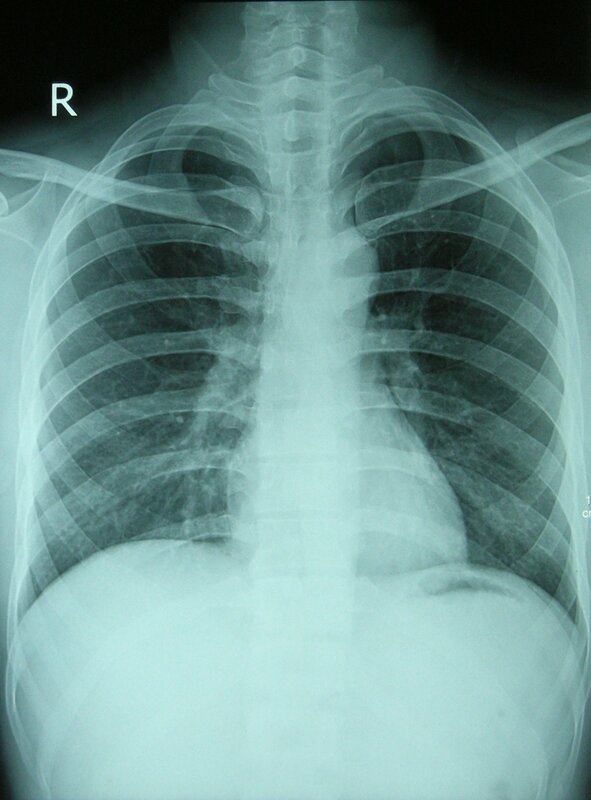 However, once you are able to get it right, your subsequent X-ray photos should look so much better. You need to ensure that you make use of the right equipment and create the best features (including lightning) and take note of the positions of your camera (distance and arrangement) in order to achieve the best possible results. Make sure you invest a decent amount in good quality camera and optimize the effects of your environment when taking X-ray pictures. 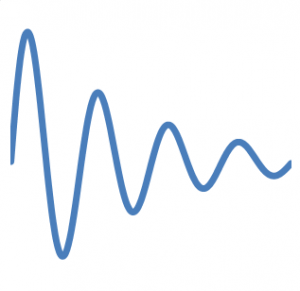 What Does Adaptive Tuning Protocol Stand For? ATP, also known as “Adaptive Tuning Protocol”, is a data transport layer protocol in Internet network design. This Internet protocol helps conserve energy performance, especially within the Internet of Things (IoT). During transfer of Internet packets, there is a significant consumption of energy, especially on the battery power of network infrastructure sensor node and this issue can constitute a problem if not checked. The overhead problem is normally caused by the regular update messages that are sent to the Internet service directories. ATP, therefore, is the protocol used as an adaptive tuning resolution in between the sensor nodes and the resource directory, in order to adjust the number and frequencies of updates by checking the battery performance levels of the sensing node. This protocol can work in different modes for effectiveness. Nowadays, it is believed that more than 3 billion devices rely on the Internet for data usage and by the end of the decade, it is expected that there will be over 50 billion devices on the planet. For this reason, the ATP will play a pivotal role, especially in ensuring that Internet services will be reached by all devices. Unless there is a mechanism put in place, the massive number of sensors that will be required to handle the growing demands for Internet services will be too much to handle. 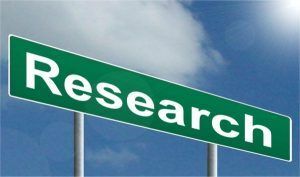 Provide a connection-oriented communication, whereby it interprets connection as a data stream rather than dealing with the underlying connection models. 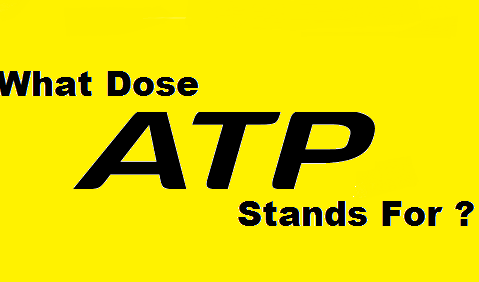 This will allow the ATP to focus on classifying data in order to reduce overload. Provide same order delivery, in which it allows data to arrive the same way they are sent. The network layer cannot guarantee that data will arrive the same way they are sent. This is definitely a desirable service within the network architecture especially when segment numbering is involved. It offers a reliable system of network handling. It is believed that some packets of data may be lost while being transmitted from one end to the other. Loss of data packets may result from congestion in Internet network, and numerous errors. The ATP makes use of different error detection codes to ensure that data being transferred is not corrupted and thereafter will verify the receipt of data being sent by sending a message to the data packet sender. Lost and corrupted data can be re-transmitted via the ATP protocol, through the use of “Automatic repeat request”. It provides an excellent flow control service within the network infrastructure. It provides this service by managing the rate of data transmission, in-between two nodes. It ensures flow control by ensuring that the rate of data transfer between two nodes are managed effectively to ensure that fast message senders are prevented from transmitting too many messages more than what can be supported by the network. It does this by creating a “Data buffer,” which is intended to trigger a data overrun. This step can also be used in preventing data under-run and boost efficiency. It helps prevent or avoid congestion. Within the transport layer of the network infrastructure, the ATP can help prevent or avoid data congestion by providing a traffic control entry into Telecommunication networks. This, in turn, will help prevent congestive collapse through the avoidance of the over-subscription to the processing of data between nodes. It can also handle this situation by reducing the rates at which data packets are sent. For instance, a network may be kept in a redundant or congested state when there are too many automatic requests. This situation can be prevented by simply adding congestion avoidance to the flow of control. An example of congestion avoidance is “slow start” technique that will simply keep the bandwidth consumption at a very low level, especially at the beginning of transmission or after the transmission of the packets. Multiplexing functions. These are specific functions in which different ports are provided with multiple entry points within singles. This simply means different recipients forwarding data to the same location can be distinguished from each other through the use of different entry points on the same port. This also means you can make use of more than one network at the same time. The ATP is an essential component of network infrastructure transport layer that delivers data to the appropriate process within different host computers. The multiplexing of data from different processes of application will help in reducing redundancies in the formation of data packets, while the addition of source and destination port numbers in the header of the transport layers will ensure that communication is facilitated within the network infrastructure. 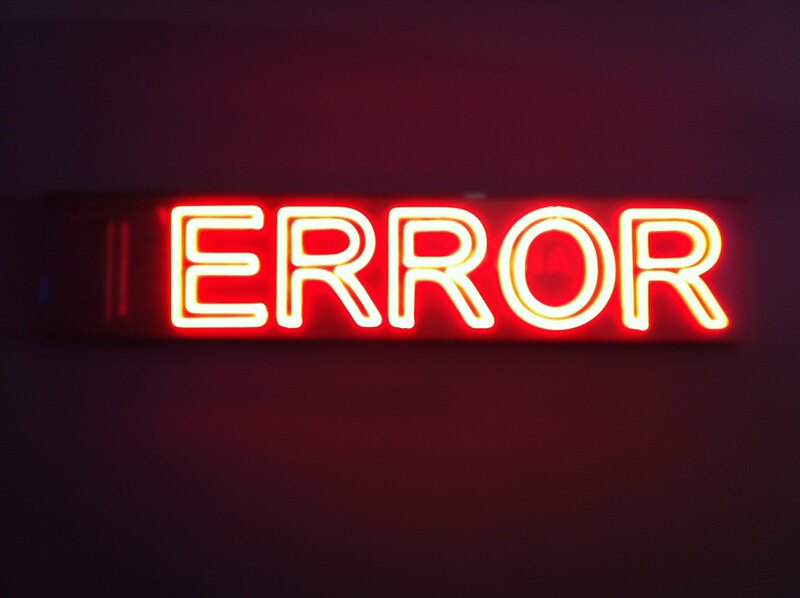 Though the ATP is not directly involved in some other processes such as the generation of error recovery codes, but it plays a prominent role in such functions by generating the repeat request protocols, which is necessary for the identification of the source of an error and possible solutions to such errors. ATP is able to handle different errors because of the different codes attached to such errors; therefore, it takes little or no time to resolve errors by identifying such codes. This ensures that vulnerabilities and latency risks are reduced. 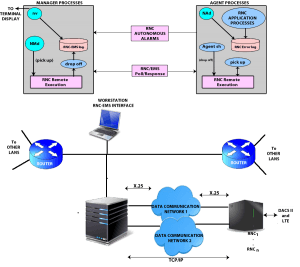 The ATP protocol of Internet network can be configured according to the size of the Local Area Network (LAN) or Wide Local Area Network (WLAN). This means that the protocol is needed for smaller and wider networks. The reliability of ATP makes it easier for network administrators to implement several other protocols into a network. For instance, securing a network infrastructure becomes much easier when an effective ATP is deployed. With an effective ATP structure, networks would be less susceptible to phishing and some other vulnerable attacks. What Dose Lice Look Like? Lice—also referred to as head lice or nits—normally appear as white or gray–brown in color and it can be found attached to some parts of humans or animals. The immature head lice usually have the brownish gray or white color, while the adult lice may look brownish or brown-black in color. Head louse eggs are usually the size of a flake of dandruff and such eggs could be yellow or white and appear as oval in shape. They are usually attached to the hair of humans and animals, especially the area closest to the scalp. The hair and scalp usually provide a warm temperature for the incubation of the lice egg. Most nits are usually located close to the neckline or somewhere behind the ears or at the back of the head. They can be sometimes located in eyebrows or eyelashes but that is not common. The female louse is known to produce a sticky substance that ensures each egg is attached to the shaft of the hair and any egg that is located between ½ and ¼ distance from the scalp is an indication that it will hatch very soon, or they may simply be empty casings of the lice. Once the lice have hatched, the immature nymph is whitish or grey-brown in color and it will develop 8 hook-like claws, as well as a body that is smaller than a pinhead. Most eggs laid by female lice will hatch within 6-9 days, while the nymph will become fully adult within 7 days after hatching. Louse life cycle. The adult head lice usually measure around 1/8th of an inch and live for just 30 days on the average if it has continuous access to human blood. Adult lice that have no blood meal will usually live for around 1-2 days. Most adult female lice are quite larger than male lice, and they can easily lay up to 8 eggs in different locations per day. Lice are usually darker when they are found in darker hair while those in blond hair will usually appear lighter in color. 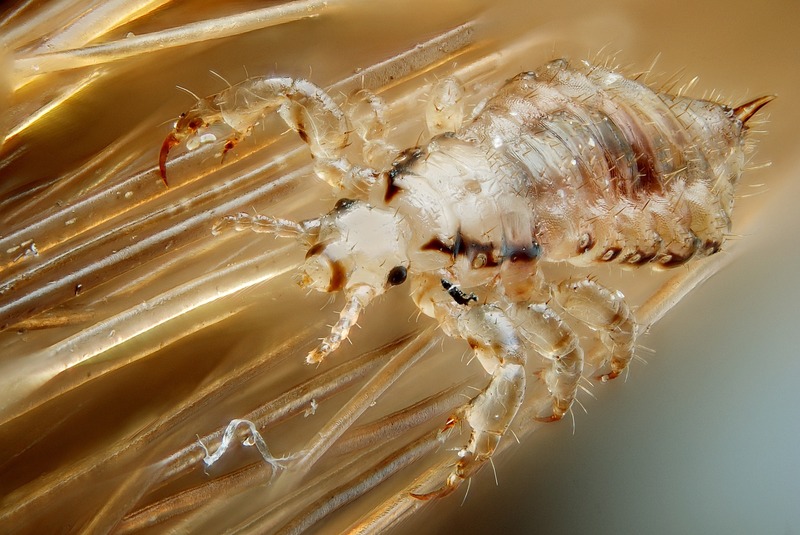 Generally, head lice will feed on human blood and they also inject saliva into their host and they ensure they constantly feed on the blood of the host in order to prevent a blood clot from forming. This will eventually trigger itching, which is an allergic reaction. When lice are not treated, there may be a secondary infection, whereby the scratching of the scalp becomes more intense and this may cause bruises and bleeding. Though the presence of lice can be very frustrating they are not dangerous and they do not transmit any disease. Lice are usually transmitted from an individual to another through person-to-person contact and via the hair. It should be noted that common lice cannot fly, nor can they jump or swim; thus, the only way they can be transmitted is through head-to-head contact, especially via the hair. The infestation of head lice cannot be caused by greasy hair or poor hygiene; however, head lice can affect anyone regardless of hair length. Though head lice can only affect humans. However, certain species of lice may be found on some animals. Research has shown that head lice may survive under water for several hours and it can be extremely difficult to remove them or wash them unless the hair is completely shaved and treatments applied. Head lice are known to use their claw-like bodies to attach themselves firmly to the scalp of the hair when they are washed. Also, the addition of chlorine to swimming pools will not destroy head lice, no matter how concentrated such chlorine can be. When they spend much time in water, lice may gain more body weight as they swell up slightly. Female lice are known to start laying new eggs some 9 days after their eggs have hatched and you may have to remove lice before they hatch in order to break their cycle and prevent them from spreading. Itching or “pruritus” is the most prominent symptom of a head louse infestation and this is mostly caused by the saliva released by lice during maturation. Not everyone will be allergic to head lice and, in many instances, the infestation can be asymptomatic. In some cases, people can become extremely sensitive to the bites from lice and start feeling extensive itching, while others have developed tolerance to itching caused by lice, even after repeated infections. Some other symptoms of lice, aside from itching, include crawling or tickling sensation in the hair, irritability, and difficulty in sleeping, and sores that result on the scalp, especially as a result of continuous scratching of the hair and scalp. Lice may be difficult to spot on humans even on close inspection and this confusion often lead to a misdiagnosis of lice. 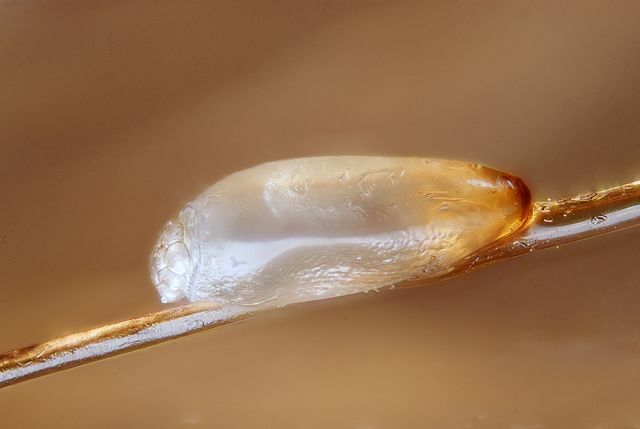 Even when lice have been eradicated, the eggs may remain attached to the scalp. For this reason, the observation of empty shells or un-hatched eggs is the first physical diagnosis that must be conducted. While head lice can be visible to the eye, you may need a magnifying lens in order to detect crawling lice. You may also need an aid in order to identify the presence of nymphs, in most cases. 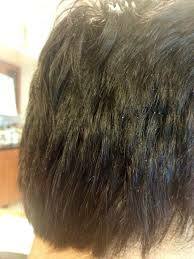 People often confuse the lice with dandruff; thus, making it difficult to eradicate them. Some people may also confuse eggs with dirt particles or hairspray droplets and don’t think they need head louse treatment. 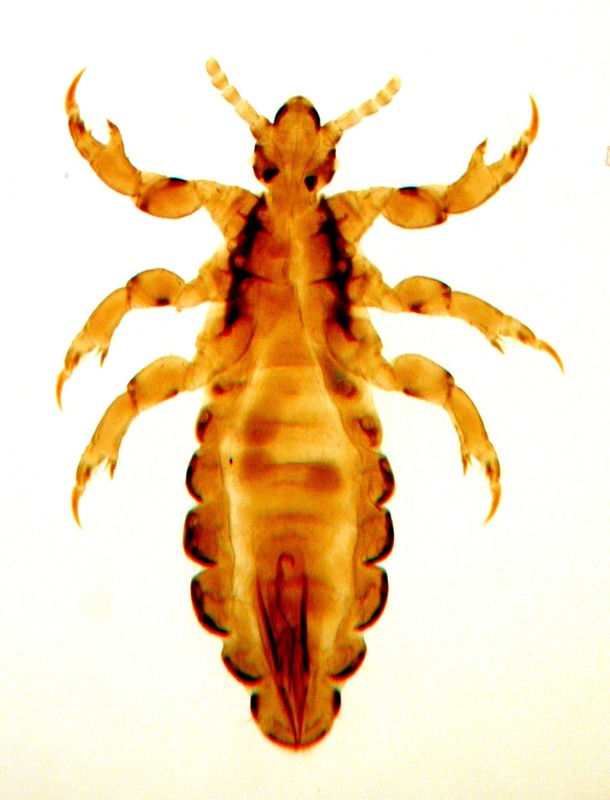 The standard for identifying lice infestation is to identify a louse in the head physically. However, this may be difficult because lice are known to hide from light and then crawl quickly out of site. In order to make it easier to identify lice, you must make use of a fine-toothed comb, though this type of comb works best with wet hair but it can also work well in identifying and removing lice on dry hair. What Does Long Term Evolution Stand For? LTE stands for Long Term Evolution and can be referred to as the standard for high-speed wireless Internet that is based on the EDGE/GSM and UMTS/HSPA technologies. LTE increases the speed as well as the capacity of the Internet with the use of a different radio interface alongside core improvements in network infrastructures. 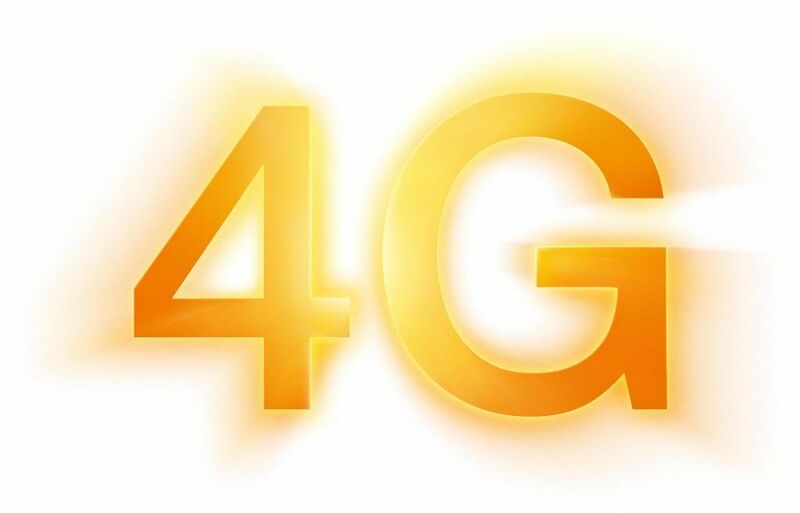 LTE and 4G are usually referred to the same thing because they are the present and future of Internet technology. Every smartphone and wireless Internet device networks service provider is either. Upgrading to LTE technology or promising their customers that the technology will be rolled out soon. LTE has brought some unprecedented fast transmission and download speeds and it has become the standard. LTE was born out of the fact that the needs for more data consumption and download speeds have grown and, at a certain time, a tipping point will be reached where the demand for data will outgrow supply and LTE seems to be the only solution to this issue. LTE seems to be cheaper when compared to other technologies such as WIMAX and CDMA. Likewise, LTE can be implemented rather quickly than the rest. The first public LTE technologies were released in Oslo, Norway and Stockholm, Sweden in 2009, after deliberations about its rollout. Today, LTE technology is virtually in every corner of the world. It must be noted that 4G is different from LTE and the reason being that the standard placed on 4G is higher than LTE. For instance, the base for 4G is 100 Mbps, while the base for LTE is 1 Mbps. However, 4G is definitely more expensive to run than LTE. How does LTE technology work? LTE has changed the current method of moving data through Internet protocol. Rather for LTE to move small amounts of data like GSM and CDMA, it ensures that large packets of data are delivered and streamlined. It virtually removes the “speed bumps” of the road in order to ensure that Internet data zooms through quickly. One of the main benefits of using LTE is that it will reduce the latency that hampers the transfer of data. GSM, which provides a much weaker data latency, makes use of the Time Delay Duplex (TDD), while CMDA technology makes use of the Code Division Duplex (CDD) technology to reduce data transfer latency – both CDD and TDD are only used for coding information that are transfer over airwaves and are not as effective as the latency reduction over LTE. While GSM technology used in a basic smartphone has been improved to HSPA (High-Speed Packet Access), LTE is designed to facilitate the movement of data packets at even a faster rate. LTE works through the integration of Digital signal processing (DSP), in order to adjudicate the transfer of data packets at a much faster rate. 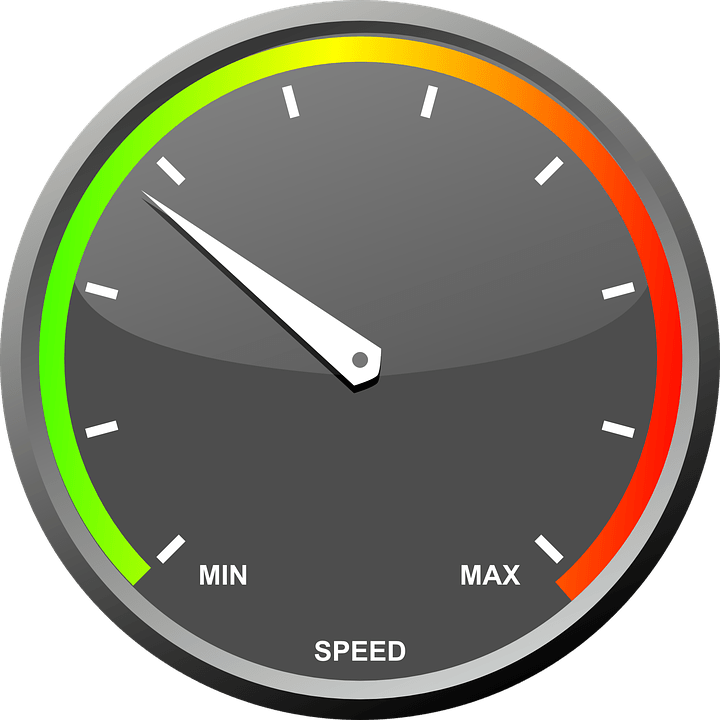 In summary, LTE can be described as a “turbocharger” for your GSM or CDMA. Now that most networks operators of GSM and other related services are upgrading to LTE technology and the fact that LTE is available for GSM and CDMA means that everyone can make use of it, regardless of the device being used. While LTE is just a system upgrade, frequencies and spectrum regulators still have the mandate to implement it or not. All devices run at certain spectrum and frequencies, hence an ideal smartphone that operates on LTE will likely operate at different frequencies. Similarly, different countries do operate at different frequencies all across the globe, but a higher frequency of your device does not mean your network service is better. However, lower frequencies seem to be much better in rural areas where fewer people will require smaller bandwidths. A good scenario of this situation is the comparison between North America and Europe, as regards the use of LTE. While the United States has rolled out its LTE over the past few years, many European countries are just taking the first step. 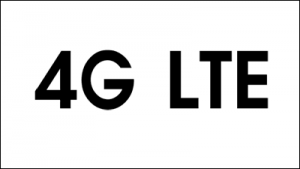 LTE usually operates within the frequency spectrum of 700MHz to 2.6GHz. While a lower 700 MHz spectrum will carry good signals over a larger area, service providers will spend little on infrastructural changes because more people will be reached with such spectrum. On the other hand, a 2.6 HGz spectrum will be faster but will reach fewer individuals. Likewise, significant resources will be needed to upgrade infrastructure for its usage. Most Internet and smartphone service providers still rely on the lower spectrum of LET for their services. Frequency is just a specific channel, just like a band on a radio dial, while spectrum is a collection of different bands. Bands can just be of any size within a spectrum, while spectrum comprises of bands, bands comprise of frequencies. Spectrums are usually sold by appropriate organizations to individual companies that deploy LTE services and, if you want a bigger and wider network, you will have to purchase more spectrums. Many companies now rely on spectrum options in order to improve their network and, recently, there has been an increase in the number of mergers, especially among smaller service providers, in order to purchase larger spectrums for their LTE services and increase profit. Larger companies that purchase smaller carriers are able to gain more frequencies as well as more subscribers. LTE is becoming more accessible to users worldwide on daily basis, while carriers and service providers still adopt lower frequency options because of the lower cost of an upgrade and the reach of such lower spectrum to more people. Despite the fact that LTE will make you more productive, the cost of such option on your budget is bigger. Upgrading those network towers to LTE will definitely cost money and service providers will have to recover revenue; hence, if you want more speed and more data, you have to spend extra. One downside of LTE service is the fact that smartphone batteries will have to be upgraded to keep up with faster Internet speed. It is common to hear people say that their battery ran flat quickly. However, the more robust smartphones seem to be coping with such demands.